If you follow me on Twitter (come on, I know you want to) you’ve been subjected to my barrage of Real Housewives tweets. 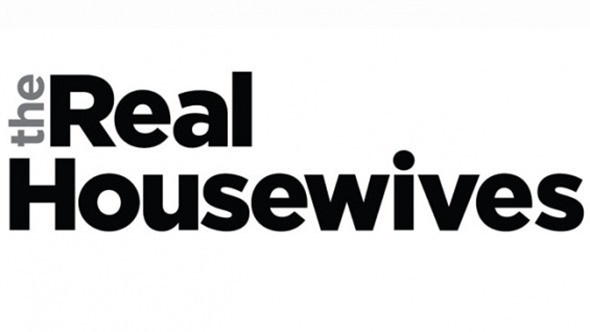 Real Housewives of Orange County (RHOC); Real Housewives of New York (RHONY) and Real Housewives of Melbourne (RHOMelbourne) are currently on rotation. Real Housewives of Beverly Hills joins in when there are new episodes. Recently, someone I follow (I can’t find the tweet or I’d post it, so if it was you, please let me know so I can edit this and add it) asked what I thought was a really good question: Why do women watch the Real Housewives when it depicts women so poorly? I definitely didn’t have an immediate answer. As a feminist, it made me stop and wonder at myself. What am I getting out of these shows? More than you’d think. And a lot of that stems from the audience watching with me. First, though, I think it’s pretty clear that the Housewives, as a whole, don’t represent women, let alone all women. They live in a world of fantasy and casual inch-thick makeup, where real is a word that always has implied quotes. They’re pushed together under artificial circumstances for which they’re perpetually overdressed, where glances from amused, regular guests shatter any illusion of normalcy. I’ve yet to meet someone who knows someone like a “Real” Housewife in real life. They have a job, and they do it. There’s a reason they feel so familiar from franchise to franchise. They are meant to entertain, and they do. Which brings me to the best part of these shows. The audience. While the Housewives can embody the worst stereotypes about women, together we get to dismantle them in delicious, technicolor snark. Take Countess Luann, for example, who, like quick-dry crazy glue, stuck to a man who’d “dated” several of her friends, even after seeing photographic proof of him kissing another woman after their engagement. Who does she blame? The woman who told her — who cultivates her own nest of mean girl stereotypes — and the “clutches” of the woman he kissed. Not the rather aptly-named “Tom,” who left her after an evening together to meet this other woman. But the beauty of it? The number of viewers, men and women alike, pointing out the ridiculousness of that route to denial. It’s the opportunity, publicly, to smash that idea of convenience that it’s man-grabbing women, and not wandering men, who deserve the scorn. Is now a good time to mention that Luann and Tom were on dates with other people when they met? Hmm. Moving on. And then there’s the flip side to the show, the opportunity for women who are eternally the objects of other people’s gossip to show their genuine selves, like RHOMelbourne’s Gamble Breaux (Wolfe). A woman who enjoys gilding herself in full high-glamour glitz and married to a much older man, Gamble’s been a target of all of the possible permutations of rumors. Is Real Housewives harmful to the perception of women? I doubt it, frankly. I think the depictions of women as window-dressing and little more than accessories is far worse. With the Housewives, the women are entire people, some good, some kinda unbearable. But people. And that’s all feminism is about at its most fundamental level. Women being seen and treated as people.